A new Museum exhibit, Don Nix: Memphis Man Living High, Laying Low, was unveiled on Thursday, May 19, 2016 from 5:00pm - 7:00pm at the Delta Blues Museum. The Memphis blues and rock legend has enjoyed a long career that involved close associations with Joe Cocker, Leon Russell, George Harrison, Freddie King, Furry Lewis, John Mayall, and many others. 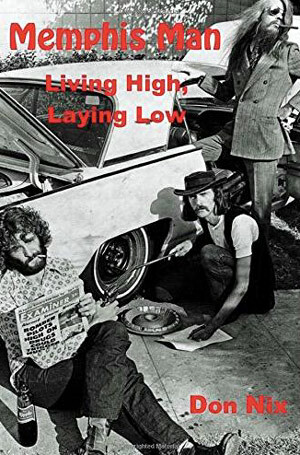 "Memphis Man: Living High, Laying Low" by Don Nix is a memoir of a Memphis music legend who played sax in an instrumental band, the Mar-Keys, that scored one of Stax Records first Top 10 hits, and then went on to become a prolific songwriter and record producer. His song, "Going Down," has been recorded by Pearl Jam, Led Zeppelin, Sammy Hagar, Stevie Ray Vaughan, Deep Purple, The Who and many others.